I don’t know about you, but I love finding easy ways to save money. 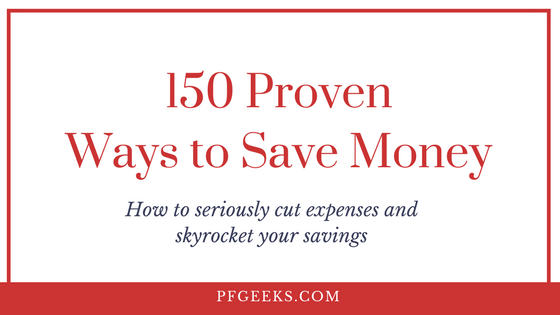 This year, my wife and I have been on a mission to save money on all of our regular spending on things like food, gas, clothes, etc. We’ve already been able to lower our grocery spending by about $200 a month thanks to a few small habits: meal prepping, reducing food waste, and spending less on groceries. If you’re looking for a way to start getting cash-back on everything you buy, then you’re in the right place. 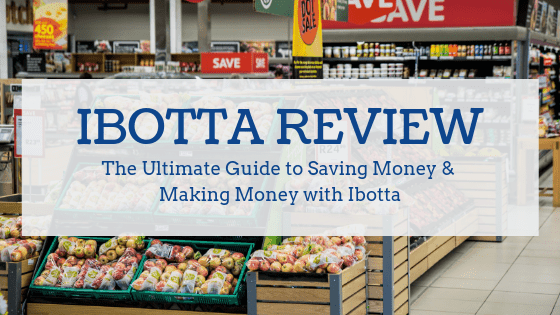 I’ve been meaning to write an ibotta review for a while now and I’m excited to share how it’s saving us money & even starting to earn us money. If you’re here to get a quick free $10, then use my ibotta referral code: VNDPCNV and sign up right now! Then come back to the guide so you can figure out all of our tips, tricks, and favorite ways to save money with ibotta. Ibotta is a consumer tech app that is all about helping you get cash-back on all of the everyday purchases you already make! You can download the app, redeem offers, and get cash-back. What separates Ibotta from all of the other cash-back options is that they aren’t trying to get you to buy stuff you don’t need. They simply want to help you get a bit of money back on all the stuff you’re already buying at the store. Over the past 7 years, they’ve paid out nearly $440,000,000. YEP. That’s $440 million paid out to millions of people just like you and me. That’s millions of every day people getting cash-back on their groceries, electronics, clothes, and even Uber rides. They’ve got over 50,000 Five-star reviews and are one of the top rated apps on Itunes! And with over 300 retail stores, they have the most extensive network of stores and partners that they work with to help you get cash-back on everything you buy. Long story short… I love what Ibotta is trying to do to help the average person save more money. I’m all about that and am a big user myself. To start saving money with Ibotta, the first thing you’ve got to do is sign-up! If you’re reading this on a laptop can make an account, but you will have to download the app on your phone to actually redeem offers. Here’s a special link to sign-up that will get you a free $10 as soon as you redeem an offer. Before you go shopping, you’ll want to find some offers to redeem! I put together my grocery list or shopping list before I even pull up the Ibotta app! Then, I scroll through the offers to see if there are any offers for the items on my list. Usually, I can find at least 1-2! Then, I’ll see if there are any substitutes I can make that are worth it, like swapping oatmeal for cereal, or pork for beef. Ibotta started off primarily as a way to save money on groceries, but they have expanded like crazy over the last few years! Nowadays, before I shop anywhere, I always check to see if they are partnered with Ibotta! With Christmas shopping, home renovation, and buying gifts for our nieces and nephews, we’ve been able to really maximize our cash-back. Here’s a quick snapshot of some of the stores you can use Ibotta at. Clothing stores: Banana Republic, Clarks, Gap, J Crew, and Under Armour. Travel: Booking.com, Hertz, VRBO, Expedia. Beauty & Wellness: Sephora, Warby Parker, Ulta. Department stores such as Nordstrom, JC Penny, and Macys. Once you’ve found the offers you want to use, make sure to add them in the app. You should be able to see a list of the offers you’ve redeemed in your account. After that, head to the store, and pick up whatever you need! The key to using Ibotta is not to buy random things you don’t need just to get a tiny bit of cash back. In the end, that won’t save you money! After you’ve finished shopping, snap a picture of the receipt in the Ibotta app to make sure you get credited the cash-back you’ve earned! This step is SO important! If you forget to tell Ibotta that you’ve redeemed the offer, you won’t get any of the money you’ve earned! Ibotta has also made it easy to shop within the app itself! If you do this, there’s no need to worry about taking pictures of the receipts! Now for the most fun part–getting paid! Once you earn $20 from cash back or referring other friends, you can cash out the money you’ve earned! Remember–if you sign up using my ibotta referral code (VNDPCNV), you’ll get $10 for free! Not bad for 5 minutes of work signing up. Ibotta has also made it super easy to get paid. You can withdraw the money through Paypal or Venmo. It won’t make you rich. No one is going to build up their retirement savings or save for a downpayment because of Ibotta. If you want to make those kinds of savings, you’ll need to find a way to boost your income and really build up your savings gap. But if you think about Ibotta in terms of % saved not $’s saved, you’ll realize how awesome of an app it is. Sure, saving $3-5 every time you go to the grocery store may not be much. But if you’re saving 10-25% on several items, that’s something to be happy about! Use the money you’re saving to treat yourself, buy your spouse a gift, or find a way to give back to someone else. Maybe your next round of groceries will be free thanks to the money you’re saving with Ibotta! Ibotta has given out millions of dollars to hundreds of thousands of users over the last 7 years. They are incredibly highly rated and have been featured in all of the country’s biggest publications. With any cash-back app, it’s good to know how they’re making money off of you. Some places are a bit shady and sell your data. Ibotta makes money two ways. First, they act as an affiliate. Any time someone uses the app to redeem an offer that Ibotta suggested, they get a tiny cut. It isn’t much, but with millions of users, the dollars add up. Second, for some of the offers you want to use, you’ll have to watch a short sponsored video to redeem it, giving Ibotta some advertising revenue. Ibotta is EASY to use. It takes me about 3-5 minutes to scroll through the offers at the store I’m heading to! The % you end up saving adds up big-time. Sure, $1 may not be much, but when that’s 20-40% off, those percentage savings can add up! If you refer Ibotta to friends or family, you can also start to earn a bit of extra money! As soon as you sign-up, you can get your own ibotta referral code to share with people. Save money on unique things like Uber and alcohol, which most cash-back apps don’t work for. Build your team up. As your team grows, y’all will be able to get more of the bonuses each month. More bonuses = more money earned. Two ways to do this are to 1) invite people using your ibotta referral code or 2) connect to your Facebook and all of your friends already using the app will be on your team. The biggest downside is the lack of fresh options like meat and veggies. But this has been getting better over the last few months! You have to have earned $20 to cash out. But hey! If you use my ibotta referral code, you’ll be halfway there! If you want to start saving money on every day stuff like groceries, household products, and clothes, sign-up with Ibotta today!